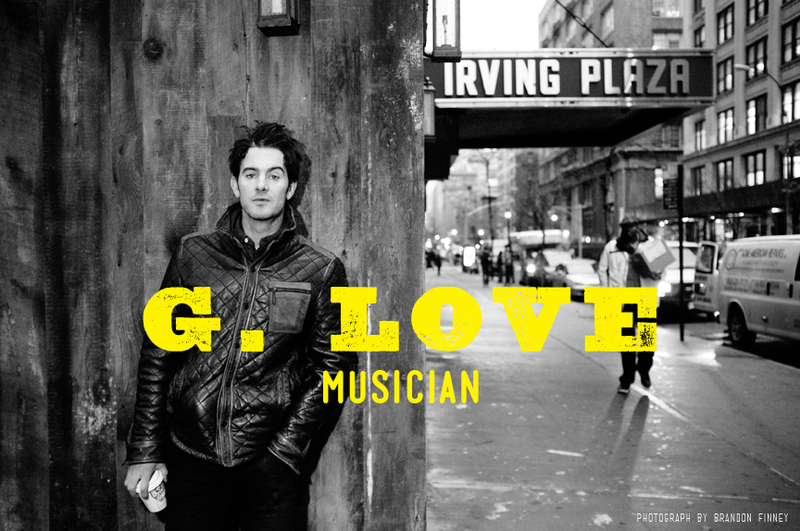 G. Love (a.k.a. Garrett Dutton) began surfing at a very young age, around the same time he began to play the guitar. It shows in his process and innovative songwriting. Over the years, I've really enjoyed watching his style evolve, skillfully merging hip-hop and blues. G is caring, loyal, and kind - the kind of guy who just wants everyone to have a good time. He has honed his live performances over 20 years of touring and has a natural rapport with his audience, making his concerts really fun. Songs come from life and living, seeing and doing, reading, listening and absorbing. There's just no end to what you can write about from the simple to the sublime. I think a lot of times the songs are out there you just need to open yourself up and be ready for them to come when they do. I'm constantly writing down words and phrases that I think could live in a song. When I have a melody or a rif I record a voice note. Then when I have time to sit with my guitar and hash it all out I have a lot of material to work with. I usually write with my guitar and when I get a song to a place I feel good about I bring it to the band.